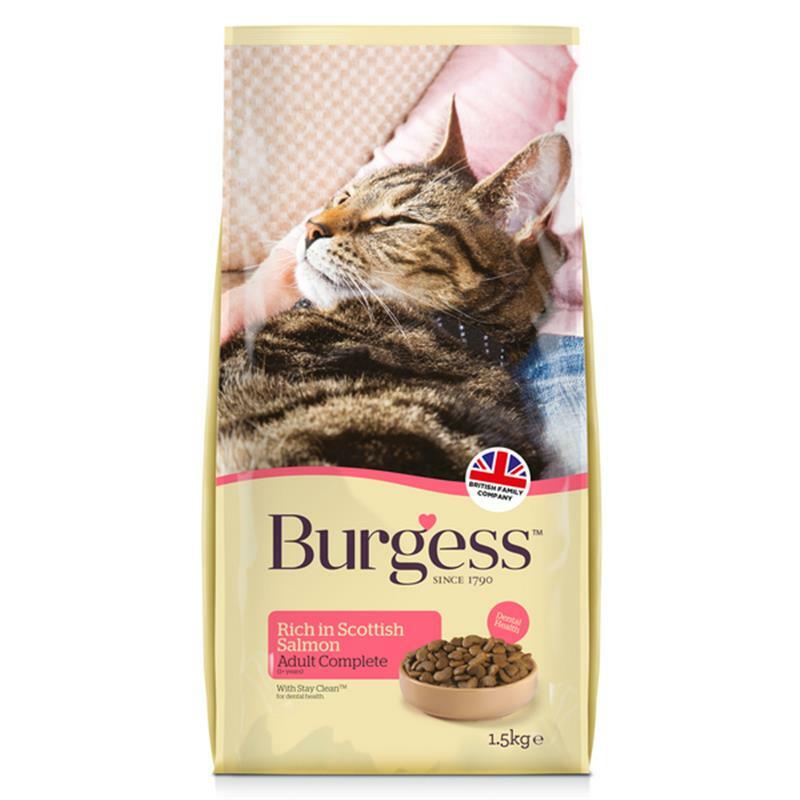 Burgess Adult Cat Rich In Scottish Salmon - 1.5kg. Burgess adult cat is a complete food for adult cats. The salmon, rich in protien, is sourced sustainably from Scotland and each kibble is coated in STAY-clean which helps reduce the build up of tartar and plaque on teeth.